Hospitals are proving the merits of machine learning and cognitive computing, but deep learning and data dependence are key for more widespread use ahead. Artificial intelligence in healthcare is at the end of the beginning: It’s been researched, introduced, proven to work, and it’s been put to use in real clinical settings. But adoption is slow. Healthcare has only explored the tip of the iceberg and, of course, there is much work ahead to improve patient care. AI in healthcare is beginning to emerge out of its infancy, said Ted Willke, senior principal engineer at Intel Labs. Additionally, right now, there’s a huge interest in predictive clinical analytics, or the process of inputting historical patient data into models to identify and forecast future events, such as the likelihood of a patient relapse. The most common uses for AI in healthcare today are for search, classification and reasoning, in that order, said Ajay Royyuru, vice president, healthcare and life sciences research, at IBM Watson Health. Both IBM’s Watson for Genomics and Watson for Oncology are examples of state of the art AI systems that are currently available to doctors and scientists. In research, the Watson team also is working on a system that will take this classification and reasoning system to the next level, by applying it to images. The project is called Medical Sieve and is ongoing work to use AI to identify instances of breast cancer and cardiac disease. DeepMind is another example of state-of-the-art AI in action. It was founded in London in 2010 with the aim of building AI technologies and proving that they could have positive social impact. DeepMind Health is central to this social mission. AI is, of course, a huge research area, sort of like physics is a big research area, said Peter Lee, corporate vice president at Microsoft Research. Philosophers and scientists can argue about whether intelligence and artificial intelligence are the same thing. Lee believes they are, but said people really don’t know. But within this huge space of AI, there is a tiny part of it called machine learning, the study of machines that improve with experience. And then within machine learning, there is a sub-part where the learning of models is based on data – often Big Data derived from the digital exhaust of human intelligence and activity. And then within that bubble is supervised machine learning, i.e., machine learning based on Big Data that has been labeled by people. The dependence of today’s AI on data has major consequences for healthcare. The industry is highly regulated, and so is access and use of medical data. So when systems are set up for accessing healthcare data in a compliant way, one will increasingly see the application of artificial intelligence and machine learning. Microsoft’s developments in AI for healthcare have “followed the data.” For example, InnerEye is AI-powered computer vision designed to dramatically improve the productivity of radiologists, trained on thousands of 3-D images and radiologist inputs. Healthbot enables healthcare organizations to create conversational interfaces that provide always-accessible information about health, wellness, benefits and intelligent triage, making use of natural language and conversational AI models developed for Bing, Xbox, Cortana and more. Machine-learned AI is not yet prevalent throughout healthcare, but its adoption is on the rise, said Katherine Chou, head of product for health, at Google Research. “It commonly appears in the development of surgical robotics, predictive analytics for optimizing healthcare operations, computer-aided diagnostics for telehealth services, and assistive technologies that reduce the burden of clinical workflows and improve home care with patients,” Chou said. So far, the Google Research team has been focused on increasing the accuracy and availability of healthcare by developing state of the art computer vision systems for reading retinal fundus images for diabetic retinopathy or detecting lesion-level tumors in giga-pixel microscopy images. The team also has been building scalable predictive models that can help detect patient deterioration from de-identified medical records. With all of the work in progress in healthcare artificial intelligence, with AI at the end of its early stages in healthcare and cementing a place for itself in health IT, the question becomes: Where is artificial intelligence in healthcare heading? What will be asked of artificial intelligence by healthcare organizations in the years ahead? Healthcare AI’s top experts have a range of predictions. For one thing, there is a tremendous push to use AI to realize healthcare’s Triple Aim of better outcomes, reduced costs and better accessibility, Microsoft’s Lee said. AI also will enable new ways for people to access and take control of their own healthcare, Lee predicted. “We already see the start of this with Microsoft’s Healthbot, where patients can, anytime and anywhere, converse with an intelligent health agent, go through an efficient triage, and then get intelligently handed off to a nurse or physician in a way that is more efficient, lower cost and more satisfying,” Lee said. At DeepMind Health, the organization’s current research for the healthcare applications of tomorrow combines two AI approaches: deep learning and reinforcement learning. As the algorithm processes more scans, it improves its understanding and interpretation of the information. Then it provides increasingly useful feedback about the data for expert clinicians to use for better diagnoses and treatment. AI is a huge priority for Intel moving forward, and the company is active in a number of areas as they relate to healthcare, from predictive clinical analytics to imaging. 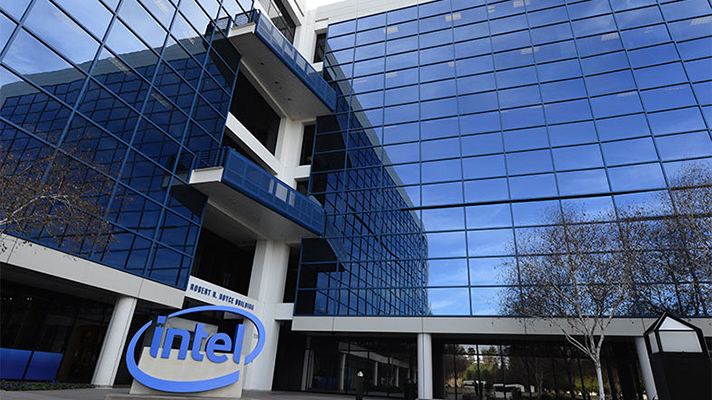 For example, Intel helped Sharp HealthCare in San Diego build a predictive model with 80 percent predictability of patient decline within an hour of an event happening. This advance notice enables intelligently placed medical emergency teams – rapid response teams – to be located at key points in hospitals and to intervene before an event becomes life-threatening. During the next 10 years, IBM Watson Health expects to see more being done in the areas of machine learning, reasoning and decision support capabilities. “With the inclusion of images such as X-rays and CT scans, audio, video, and continuous, real-time monitors of physiology and lifestyle, the amount of data to be leveraged will continue to grow, and AI systems will need new capabilities to unlock the insights within that data,” said Royyuru of Watson Health. At Google Research, the AI team will be working on advancing the art and science of AI along four themes: augmented intelligence; assistive and ambient intelligence; accelerated engineering, analysis and workflows; and interpretability. Accelerated engineering, analysis and workflows can help expedite the processing of data or accelerate data-rich workflows, Chou explained. Google Research’s work here is not only in developing machine-learned AI processes, but also in opening up and improving its TensorFlow deep learning research platform to all researchers. In healthcare, for example, the deep learning technology can help with harmonizing medical records data on top of the open standard FHIR, automating a process that historically has been extremely labor intensive.